Jägermeister’s Hubertus Circle members ventured over to the world’s wildest party city for BCB. Upon their return, we sat down the guys to see what it’s all about. 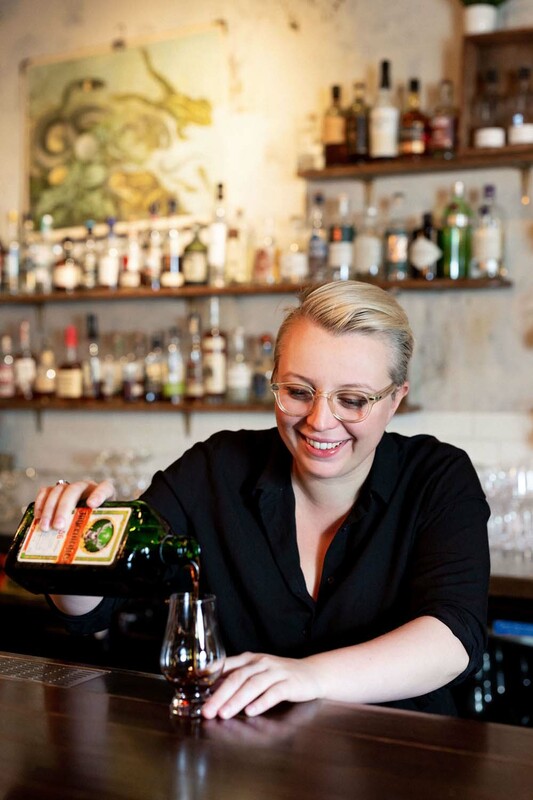 In the third and final instalment; Kate McGraw — Bar Consultant/Bartender/Goodtime Girl — discusses trends we should keep an eye out for, and what Sydney could learn from Berlin’s nightlife scene. Ok let’s start with BCB. How was it and what did you take away from it? BCB was wild. You have absolutely no idea of the scale of it until you walk into the main hall of BCB. I mean it’s almost hard to put it into words. Being in a place with 14,000 people who are all there for the same reason, it’s like a crazy sort of kindred vibe. 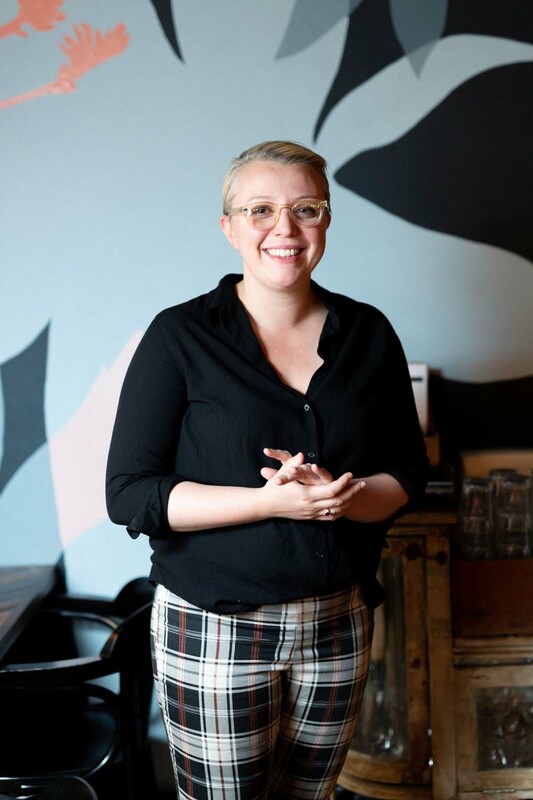 You walk around and it’s like, I don’t know the person that bartends at that bar in Rekovac, but at the same time we know each other because we’re part of this community. I think it made me realise just how close as an industry we are. “To be honest with you, I think that Australia is at the forefront of where trends are at,” says Kate McGraw. Did you see any trends at BCB that you think we should keep an eye out for back here? The Berlin nightlife scene has a reputation of ‘anything goes’, is that what you found? Any crazy stories? (For the record, she nodded her head). Um, yeah, it’s nuts. It’s wild. They know how to have a good time. Berlin’s a really interesting city because it’s got such a rich history, a really sort of depressive history, that it’s almost like everyone there has this unbelievable ‘you have to live right now’ attitude—which is an amazing thing. It’s a hard thing when you’re doing it seven nights a week as an Australian, though. Did you notice that, like your stamina as an Australian? My stamina was not at all up to Germany’s standard. But everyone there just enjoys living and they take so much joy out of pleasure and it’s important to them. You walk around Berlin and it’s not the most romantic city in Europe by any means, but the people there just want to, like, live and experience. From left: Alen Nikolovski, Kate McGraw, and Evan Stroeve. Is there anything you think Australia could learn from the nightlife scene over there, and vice versa? It’s a very different scene—we’re at very different places in terms of our food and beverage culture. I feel like in Australia, our clientele have quite educated palettes and they’re quite discerning when it comes to what they’re putting in their bodies. In Germany, on the whole, I don’t think they’re at that stage yet. I think that they’ll get there in a couple of years. How was it experiencing Jägermeister over in the country that it all started? Was it much different to here in Australia? Going there, it’s so beautiful and like, even though I’ve been working with Jägermeister for almost a year now, there is still kind of that dark, dingy connotation to it. But you go to Wolfenbüttel and you stay in the guest house and it’s just light filled rooms, and the place where they make it is just super bright and it kind of like almost makes you uncomfortable because it’s so nice, you know what I mean? They have a completely different mind set over there; people enjoy it and sip it. The thing that blew me away was how much people bend over backwards as soon as you say you’re with Jägermeister, and then all of a sudden it’s like you’re royalty to them. And how was catching up with all the other members of Hubertus Circle? Everyone was super lovely. I think it’s kind of a crazy thing, because again, the markets and the skillsets and the knowledge levels are so different. 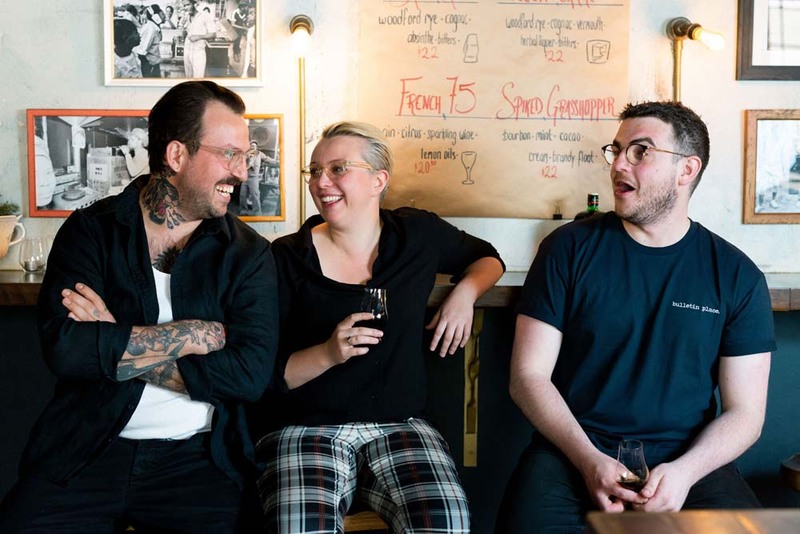 So, we were there as Sydney bartenders and I guess our particular group is quite well-known, or proficient, and we’ve all been doing this a long time. But then you’ve got some guys in there that have been bartending for a year and they’re hungry. So it was just like this wild kind of mash of people, but yeah, we had a great time. Fancy working in Berlin for three months this summer?